This sixth blog in our series of blogs relating to injuries suffered around the time of birth, considers potential complications which can sometimes occur following a baby being born which, if not treated properly, can result in significant brain injury and cerebral palsy. As any new parent will tell you, myself included albeit some years ago now, once your baby arrives in this world, apparently perfect, you can’t help but give a sigh of relief that the dangers of childbirth are behind you. But as I will explore in this blog, unfortunately the danger might not be over, and in fact the first few hours and days of life can be fraught with problems for some babies. There are several conditions which, if suffered, seriously affect newborn babies – sometimes called neonates and who are treated by Neonatologists – including infection, low blood sugar levels (hypoglycaemia) and liver problems (jaundice). The reason that illness at this early stage of life can be so dangerous, is because babies’ bodies are not strong enough to cope with these conditions and any change to how their bodies function can have very serious implications. 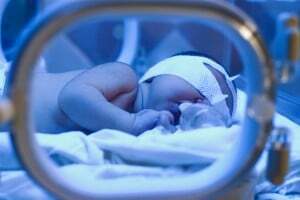 Both infection, and jaundice, if not treated properly, can cause specific damage to the newborn baby’s brain, which in turn can lead to cerebral palsy and associated disabilities. I want to concentrate in this blog upon a little focused upon problem, which can cause serious difficulties for newborn babies, and that is the issue of hypoglycaemia or low blood sugar levels, and based on a clinical negligence case I was instructed on. X was born at term in apparently good condition. There had been some concerns during labour, about fetal distress, but the Apgar scores (which measure a baby’s condition at 1, 5 and 10 minutes of age) were all fine. Unfortunately however, X seemed rather “irritable” in the few hours after his birth, and overnight there were feeding difficulties. In the early hours of the morning, X’s mother was attended by a midwife to try and assist her with the feeding difficulties. Unfortunately, the midwife did not take X’s temperature – if she had done so it is likely she would have found X to be hypothermic (an abnormally low temperature) which would have been a significant sign of developing problems – and she made no real plan to review or overcome the feeding problems X was having. This is important because a newborn baby must feed after birth, to provide it with the energy it automatically loses when it is born which is supplied by its mother. Any reserves of energy (sugar) are quickly used up after birth. Another midwife attended X a few hours later and again no substantial examination of X took place, no temperature was taken, no attempt was made to measure blood sugar levels even though by this time X had not fed properly for a considerable number of hours and no appropriate follow up plan was made. Unfortunately, a few hours later, X began fitting and when he was taken to the Special Care Baby Unit, his blood sugar levels were found to be zero. The fitting X had experienced, were the first overt signs that his brain had been irreversibly damaged by the catastrophically low blood sugar levels. The case put forward on behalf of X was that if any of the midwives had examined X properly, as it was alleged they should have done, they would have discovered clear abnormalities in his condition and/or if they had taken the feeding problems more seriously they would have carried out a blood sugar test. Had that been done, the blood sugar levels would have been low, such as to require treatment, but would not have been so low as to have caused irreversible brain damage. If X had been treated at any point up to and before he started fitting, he would have avoided his brain damage entirely. Sadly, X is left with significant psychological injuries i.e. he will not achieve his otherwise academic potential, physical disabilities and most significantly with very serious behavioural problems which have implications for all aspects of his life including his need for lifelong care and support. It is our role as medical negligence specialists, to assist clients like X, and obtain compensation for their injuries and losses so that they can be supported to make the most of their lives, and to reach their maximum potential, and also to take some of the strain and burden off of their families. My colleagues will be considering how compensation is calculated and managed in articles later in this series.